It’s time for New Year’s resolutions! We know that exercise isn’t always easy for IC patients. 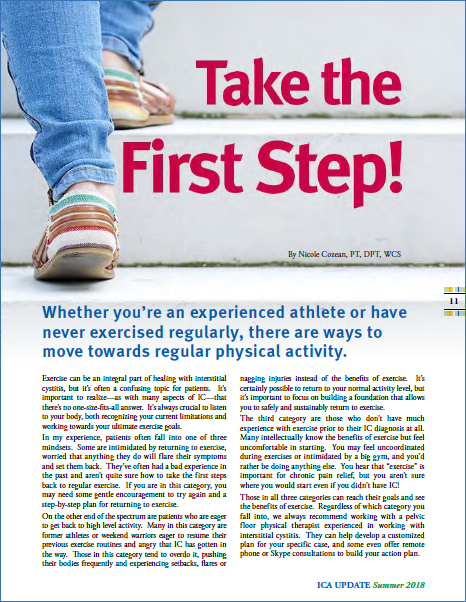 Read this article from the summer 2018 issue of the ICA Update to learn tips on how to get moving.